NOTE: THE VIDEO CALLS THESE DOGS "OLD ENGLISH BULLDOGS" BUT THE PRINT SAYS THEY WERE "ENGLISH BULLDOGS". WITHOUT A PICTURE WE CAN'T TELL WHICH DOGS THEY WERE OR IF THEY WERE A MIX WHICH IS OFTEN THE CASE. ALSO, SOMEONE ON THE GOFUNDME PAGE CALLS THE ATTACKING DOGS JUST "BULLDOGS". I ALWAYS CONSIDERED THAT THESE DOGS COULD HAVE BEEN AMERICAN BULLDOGS OR PIT BULLS. DOGSBITE.ORG AND ANIMALS 24/7 PROBABLY HAS MORE ON THIS ATTACK. "A PIT BULL WAS DESTROYED AFTER KILLING 7-YR-OLD JONATHAN LANGFORD. THE ANIMAL WAS NOT AN ENGLISH BULLDOG AS ORIGINALLY IDENTIFIED BY LAW ENFORCEMENT OFFICIALS," A CITY WORKER SAID THURSDAY. "WHITE ENGLISH BULLDOG IS A NAME PEOPLE USE FOR PIT BULLS IN THIS AREA, SAID RITA MCCORMACK, A DOG BREEDER WHO HANDLES ANIMAL CONTROL CALLS AND OTHER DUTIES IN HER CITY JOB." THEY DON'T WANT TO OWN UP TO IT BEING A PIT BULL," SHE SAID. "THEY TAG THEM WITH THAT KIND OF A NAME AROUND HERE." An eight-year-old Twin Falls girl is recovering from a dog attack that could have been fatal if her sister didn’t rush to help. On October 16th, Hailey Wakley was swinging at a family friend’s home and was attacked by two ENGLISH BULLDOGS who dragged her off the swing. 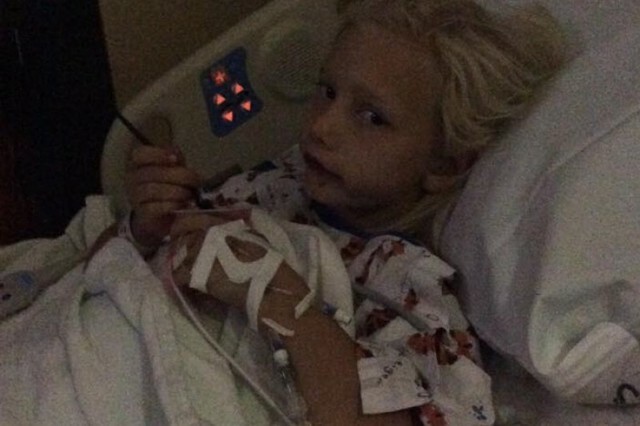 Hailey’s sister, 7-year old Echo, ran and got help when she saw her sister getting attacked, but not before Hailey suffered extensive bites to her legs and back. After being brought to the hospital, Hailey had to have surgery, and will need physical therapy to use her leg again, as well as skin grafts. The dogs involved in the attack have been put down. The family is asking for help through a GoFundMe account here. 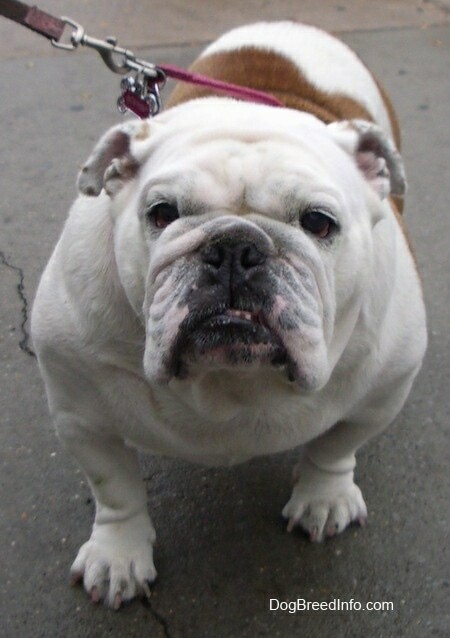 ON DEC 4, 2011, IN GREENVILLE SC, A 73-YR-OLD WOMAN SUFFERED DEEP LACERATIONS AND PUNCTURE WOUNDS ALL OVER HER BODY AND WAS IN INTENSIVE CARE AFTER A NEIGHBOR'S "ENGLISH BULLDOG" ATTACKED HER. 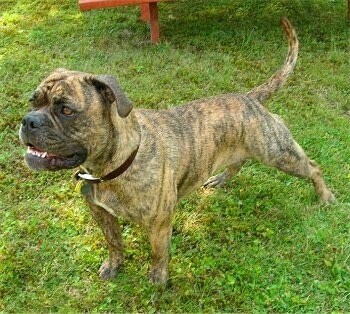 THE OWNER SHOT HIS DOG SAYING, "BUBBA HAD NEVER BEEN AGGRESSIVE BEFORE AND SLEPT IN THE BED WITH HIS CHILDREN. HERE'S THE ONLY PICTURE I FOUND OF BUBBA.....DAWN JAMES COMMENTED THAT SHE WOULD LIKE TO SEE A FULL BODY VIEW OF THIS DOG BECAUSE IT LOOKED LIKE A JOHNSON AMERICAN BULLDOG TO HER. I'm trying to put together a full story for Facebook about this child; her injuries are not healing well, she's in a bad way. Can you please tell us how you found out it was 'olde English bulldogges' that did this thing, rather than the originally stated 'English Bulldogs'? Obviously its important to differentiate between the two types. The reporter in the video calls them "old English Bulldogs". I listened to the video 10 times and then typed in what she said in the video. This was a brutal attack and I believe it was more than just the smaller breed English or British Bulldog. If you can find out, please inform me.